Belknap Campus is considered the school's main campus and is located south of downtown Louisville. At 274 acres, it is home to seven of the 12 academic colleges (and a cast of Auguste Rodin's The Thinker statue). East of downtown Louisville, the Health Sciences Center campus (HSC) is the heart of the Louisville medical center and contains the School of Medicine, School of Nursing, School of Public Health & Information Sciences, and the School of Dentistry. Also on the campus are several specialty hospitals and numerous UofL research buildings and facilities. “Academic Training,” is the name used by the Department of State for certain types of study-related employment for students in J status. It describes the conditions that have to be met in order to qualify for “Academic Training,” and how to apply. You should not begin working until you have received a new DS-2019 with your work authorization posted. Dependents of J-1 Exchange Visitors in J-2 visa status are eligible to apply to the United States Citizenship and Immigration Services (USCIS) for employment authorization. Bear in mind that J-2 dependents are NOT permitted to work or to receive a US Social Security Number until they have received an Employment Authorization Document (EAD) card from the USCIS. 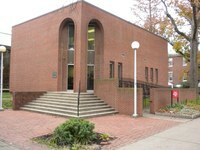 ULink is the University of Louisville Information Network for students, faculty and staff. User ID/password information for first-time users signing in to ULink for the first time will require a few easy steps to get your account information set up and activated. Cardinal Card Instructions to sponsor an unpaid exchange visitor or non-registered student for a University Cardinal Card. Instructions to sponsor an unpaid exchange visitor or non-registered student for a University computer account. This brochure will help you understand the purpose of the Exchange Visitor Program and introduce you to some of the major requirements of the Exchange Visitor Program regulations that are most relevant to you. This form should be completed by a J-1 research scholar or student wishing to transfer program sponsorship from the University of Louisville to another sponsor. Transfers should be requested 30 days before the effective date of transfer and no later than one week prior to end date of the current DS-2019. This document addresses what rights you have when you may encounter certain scenarios while studying at the University. This booklet is for non-citizens and tells you about your basic rights. It is not a substitute for legal advice. You should contact an attorney if you believe that your rights have been violated. Not sure of what someone in the U.S. was saying to you? Then look at this document to understand some of the local language that you may encounter upon your arrival into the states. Upon arriving to the U.S. you may find yourself having a hard time adjusting to your new environment. This document gives you insight into some of the common stages that you will go through in your first few weeks of being in the U.S. and how to cope with having home sickness. If you need further help please contact the ISSS office so we can advise you on where to get help. The quick reference guide provides a new student with a vast array of needed information within the first few weeks of classes. It has information on how to get a bank account, pay a bill, buy a cell phone, local ESL classes and many more useful contacts within the University and the community. This document contains websites that you might need to access for information within your first weeks of attending the University of Louisville.